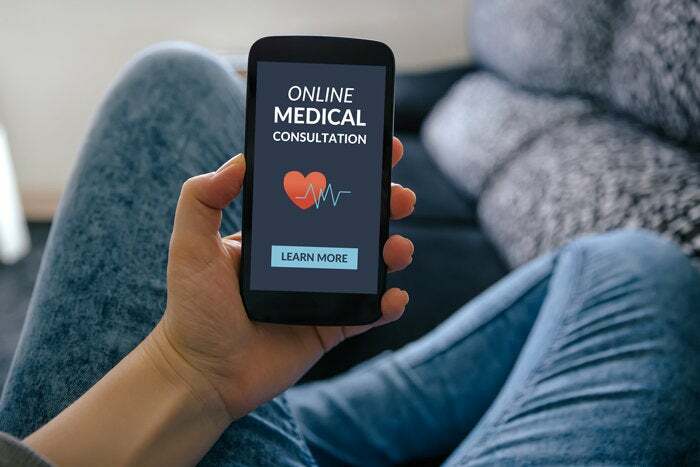 St. Luke's Healthcare Systems is deploying a single platform that allows patients to access medical records, pay bills and book appointments from their mobile devices. St. Luke’s Healthcare Systems is tucking several mobile applications for its patients into a platform typically used by professional sports stadiums. Picking a platform designed to help fans find their seats and order hot dogs and beer may seem odd for a hospital system tasked with delivering patient care, but CIO Deborah Gash insists on providing people the convenience they are accustomed to getting from entertainment, retail and other sectors. In other words, Gash wants to treat patients more like valued customers than like, well, patients. "Consumers demand the ability to have more convenient ways to interface with their healthcare providers," says Gash, who joined the organization 25 years ago, spending nearly 11 of those years as CIO. St. Luke’s Healthcare Systems CIO Deborah Gash. The mobile platform is paramount for the Kansas City, Mo. healthcare organization, which like others in the sector is focused on improving the patient experience. For years hospitals have largely focused on serving as many patients as possible, ordering up batteries of tests. This is no longer an option in the wake of federal mandates calling for providers to prioritize higher quality care outcomes over volume of services rendered -- if they want to get reimbursed. The Department for Health and Human Services said that 90 percent of all Medicare payments will be tied to quality or values. To accommodate this shift from fee-for-service care to value-based care, CIOs are trying to create the kind of surprise and delight experiences consumers expect from retail chains such as Starbucks, whose mobile application offers ordering and other tools to reduce friction. Healthcare providers realize that patients can choose from whom they receive their care and may opt for providers that offer the most convenience and value. Like any other large care provider, St. Luke's feels these seismic changes. After hearing concerns from consumers that creating too many applications would be clumsy and inefficient, Gash last year put the brakes on deploying individual mobile applications that provide discrete services. (great change!) "It was an 'a ha' moment for me that this was not the best presence for us to be putting out there in the community," Gash says. "We needed a single user interface with which to launch these capabilities from." One hitch: Gash lacked the developers to write the software. On the recommendation of a peer, Gash turned to VenueNext, which stadiums and arenas for professional sports teams such as the New York Yankees, the San Francisco 49ers and the Orlando Magic use to deliver software that helps personalize services for smartphone-wielding fans. Gash is working with VenueNext to build a consolidated mobile platform where patients can manage their health services from their iOS and Android smartphones or tablets. When the platform launches it will aggregate the hospital's Epic MyChart portal, allowing patients to tap a link to authenticate into and access their electronic medical records or pay bills. Patients will be able to look for and book appointments from doctors in the Kansas City area using the ZocDoc app. They will also have access to St. Luke's own 24-7 telehealth services, which will allow them to consult with doctors from their smartphones. Gash also plans to accommodate patients' family and friends and hospital staff by incorporating VenueNext's wayfinding and food and beverage services into the app. This will let people navigate the system's 10 hospital campuses and order, pay for and have delivered cafeteria meals -- similar to what consumers currently do at Starbucks, Gash says. “That single mobile presence was exactly what we were looking for," Gash says, adding that the app will be available for download from Apple's App Store or Google Play this fall. "We want to encourage as many customers to download the app as possible." The mobile platform initiative falls into “transformational technology” bucket of St. Luke’s bimodal IT operating model. Gash says that she’s developing an agile framework to quicken the delivery of technology implementations such as the VenueNext project and migrations to cloud applications. While running the business efficiently is crucial to reducing operational costs, Gash says the real value will come through St. Luke’s transformation work. “Providing that capability to connect with the customer will drive growth and emphasizes our vision to be the best place to get care,” Gash says.